Sports movies have their tropes: Underdogs. Training montage. Inspirational coach. 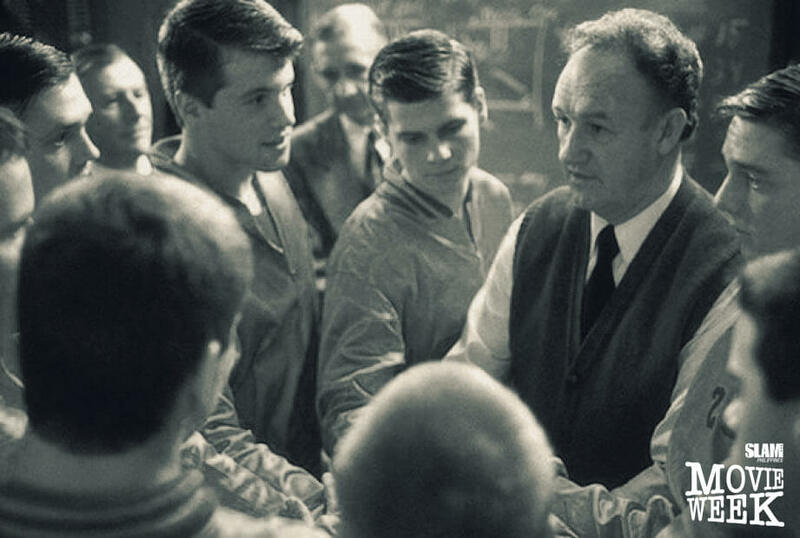 Being down in the climactic game and coming together in the dugout for The Basketball Movie Speech, a gorgeous motivational moment that is somehow delivered without notes and without faltering, not a word out of place. They’re cliches, and we know it. Nobody goes into a sports movie looking for grounded realism, because that would mean David vs. Goliath games are more likely to end with David being crushed under Goliath’s boot, or that a lineup of misfits will need several seasons to get their act together, not one magical year; or even something as simple as the average coach during crunch time does not speak like a literary genius. But…they’re just so much fun. Samuel Jackson had several of these moments in “Coach Carter,” one of the most popular sports movies of all time, but there are also gems from older films such as Gene Hackman in “Hoosiers.” On the other end of the spectrum, “National Lampoon’s Van Wilder” is not a sports movie—heck, it’s not even a good movie. But even though the speech of Ryan Reynolds’ man-child of a character to his school’s basketball team is mostly played for dumb laughs, it sneaks a couple of good lines in. So how does one go about assembling your own Basketball Movie Speech? Here’s a breakdown of those lovable cliches that you should keep an eye out for next time you watch a sports film. Or who knows, you might even use these to up your speech game at your next Barangay Liga. Everyone loves an underdog story, partly because writing a narrative requires conflict, but more importantly, because we are all underdogs in our own way. Everyone has experienced being the little guy—whether you’re an underappeciated office worker, an entrepreneur trying to compete with big business, or Michael Jordan fighting The Monstars. The Basketball Movie Speech reminds both the team and the audience of this. You could also get your players to dance like Zac Efron, but maybe not do that. It’s not about the game, it’s about our town. It’s not about whether we win, it’s about whether we play with pride. It’s not about proving others wrong, it’s about proving ourselves wrong. It’s not about the medal, it’s about making our families proud. This is usually the most quotable part of a speech, and for good reason! A key portion of The Basketball Movie Speech is the idea that the entire endeavor isn’t about basketball, after all. It heightens the ecstasy of a coming win, and gives dignity and comfort to the pain of a loss. So, are you ready to assemble your own Basketball Movie Speech? We’re letting them push us around. We’ve gotta fight them back. Forget about the crowds, the size of the school, their fancy uniforms, and remember what got you here. Focus on the fundamentals that we’ve gone over time and time again. What you achieved goes way beyond the win/loss column or what’s going to be written on the front page of the sports section tomorrow. You’ve achieved something that some people spend their whole lives trying to find. What you achieved is that ever elusive victory within. And gentlemen, I am so proud of you. What team? WILDCATS! What team? WILDCATS! WILDCATS! GET’CHA HEAD IN THE GAME!